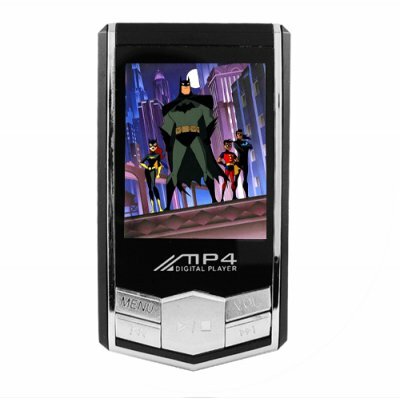 Successfully Added MP4 Player with 1.8 Inch OLED Screen (4GB) to your Shopping Cart. MP4 Player with 1.8 Inch OLED Screen (4GB). Combining 65000 color OLED screen, easy to use design, playback for audio and video files, digital picture slideshow function, and multi-language menus make this wholesale digital media player worth more than models twice its price. With Windows XP/Vista (32 bit version only) there is no software installation required, you simply plug in the USB cable and you can instantly transfer your digital media files (just like any flash drive) onto the CVAAL-A25. This item is very small. I was amazed at how tiny it was when I got it. The screen is quite big compared to the rest of the body and has very bright colors. The controls took some getting used to, and I haven't quite figured out how to add movies yet because the instructions are a bit confusing, but it is an overall good quality product if you have the patience to figure it out.